Creating simple art projects are the best! 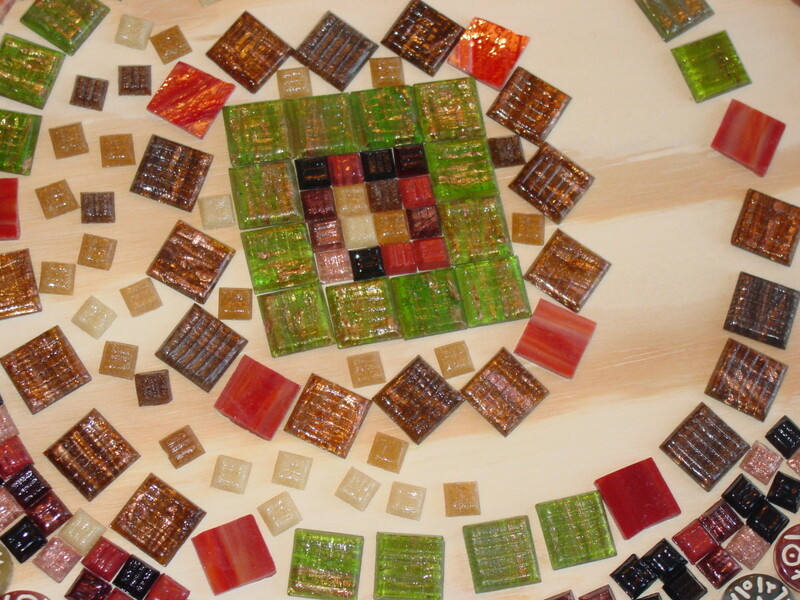 Whether it is making a wall hanging, coffee table, candle holder or numerous other pieces of art, using ceramic tiles to design a mosaic piece is a fun and easy project even for the non-artist. First, decide what project you want to tackle. 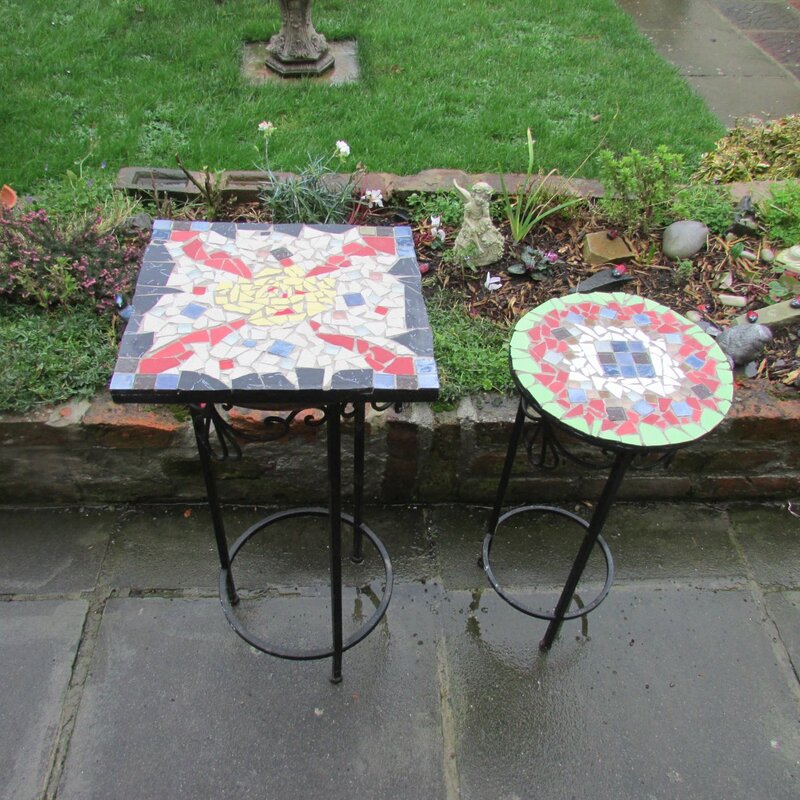 Here are some ideas for beginners: a picture frame, mirror, garden pot, serving tray, birdhouse, wall mural or a small patio table. Next, select what base is best for your project. Ceramic tiles can be attached to just about any surface with the proper preparation and adhesive. Miscellaneous tools like sandpaper, ruler, pencils, etc. Next, gather your supplies. Ceramic tile can be found at online retailers such as Mosaic Mercantile or MosaicSupply.com. 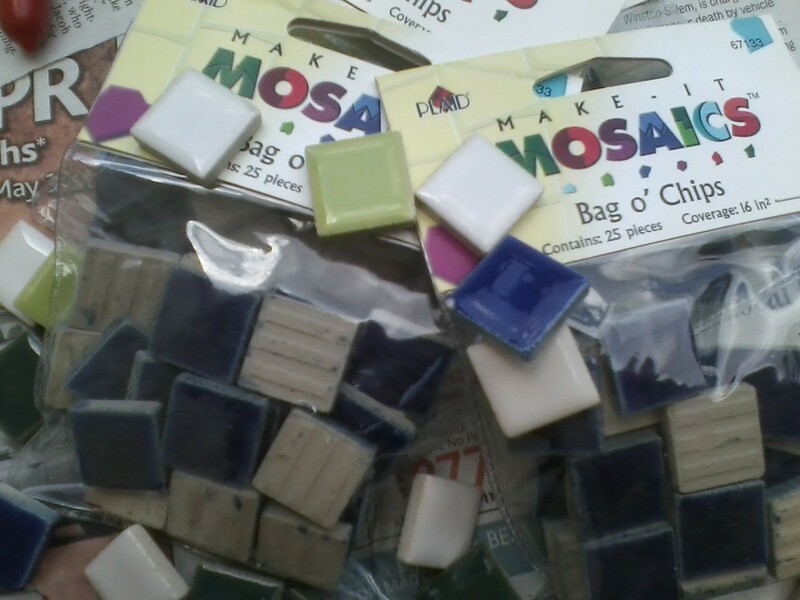 Occasionally you can find mosaic supplies at craft stores such as Michaels' or Lowes, but be aware that ceramic tiles found at these places are typically larger and will require cutting down in size. For an easier project, buy ceramic tiles that are pre cut, this also eliminates any sharp edges from cutting the tile. If using wood as your base, a good rule of thumb is, "the larger your base, the thicker the wood must be to keep it from warping under pressure." If making a piece for outdoors, make sure the wood is marine grade. You also need to purchase an adhesive. There are several types to choose from based on your application and the base your have selected. For example, if you are making a tile mosaic on cement, you will need a cement-based adhesive; silicone is best for a mirrors and most other applications can use a multipurpose adhesive. Just make sure to read the label for indoor and outdoor use. Although an epoxy is a strong adhesive, I do not recommend using it, as it is extremely messy and has strong fumes. If you choose to grout your piece, you will also need a sanded or cement-based grout. Lastly, you will need a grout sealer to finish your piece. Select a room to work that is not carpeted. Set up your work area by covering your work surface with old newspapers. Make sure to have a trash can and wet rags on hand. Also, if you are cutting any tiles, be sure to wear safety goggles for protection. Once you have selected your base medium, you may need to size is appropriately for your project. 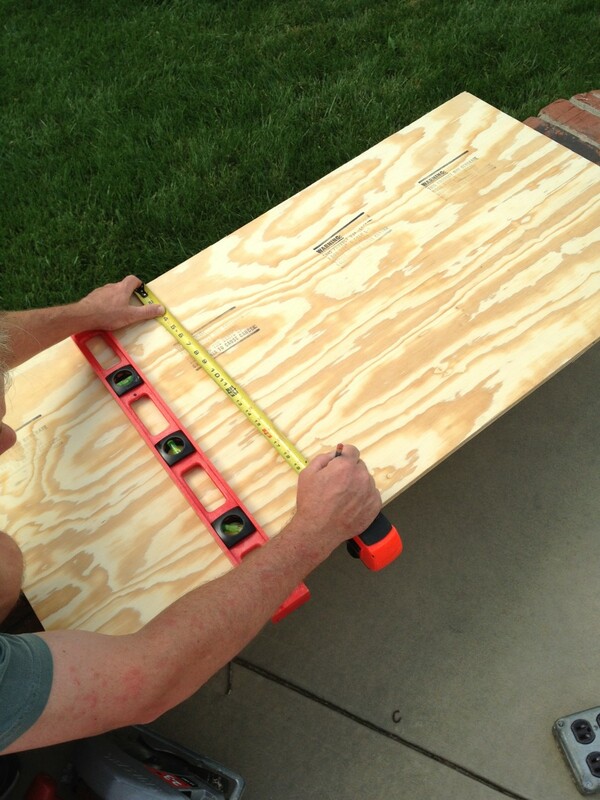 If using wood, use a rule and circular saw to make straight cuts. Use sandpaper to smooth the edges so you don't get splinters while you work. You also need to "key" the wood surface to roughen it up a bit. This helps the adhesive stick better. You can use sandpaper or score it with a box cutter. If using a metal base, use a rough grade of sandpaper or steel wool to score it. Next, you must seal the wood surface so the wood will not warp over time. You can buy a special sealer for mosaics or use a diluted adhesive. Get an old plastic container and mix one part adhesive to two parts water. Then apply it to the wood base with an old paintbrush. Give this ample time to dry. If using glass as your base, make sure if is clean and dry. Remove any dirt or grime by wiping it with denatured alcohol. Once your base is prepared, lightly sketch your design or if you prefer, you can use carbon paper to transfer a photocopy of an image onto your base. Next, begin laying out tiles. 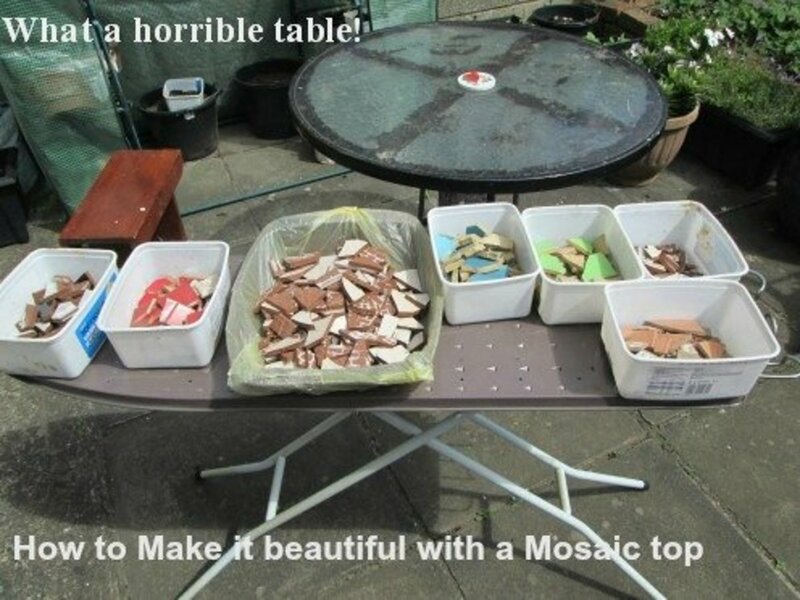 Although you may be tempted to immediately begin gluing the tiles to the base, resist! Go ahead and layout all your tiles the way you want them on the base. Try to evenly space the tiles, leaving the desired amount of space for grout. When selecting colors of tiles, remember using too many colors for one object will distort the image. This is especially important for larger pieces. The simplest way to attach ceramic tile is to use a multipurpose adhesive and glue it directly to the base. You can work in small sections at a time, applying the adhesive and then the tiles. You must work quickly to attach the tile before the glue dries. If you will be using grout, be sure to leave the same amount of space around the tiles for continuity. After all the tiles are affixed, it is best to wait 48 hours for the glue to completely harden. When that is complete, you are ready to apply the grout. Many mosaic suppliers carry ready-made grout in various colors. I prefer to use grout that comes in a powder ready to mix. This allows me to control the consistency and to mix the exact color I wish to use. 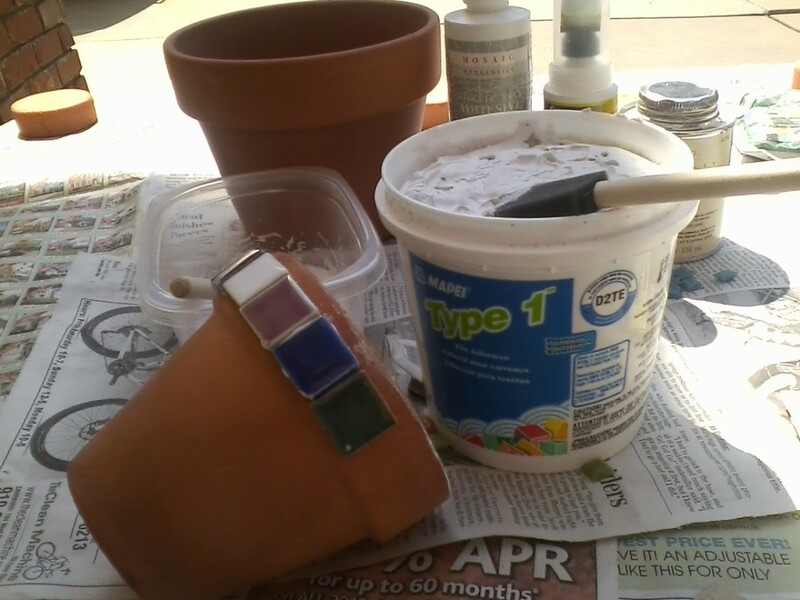 While you can apply dyes to the grout, I find it easiest to mix in a tad of acrylic paint until I achieve the desired color. 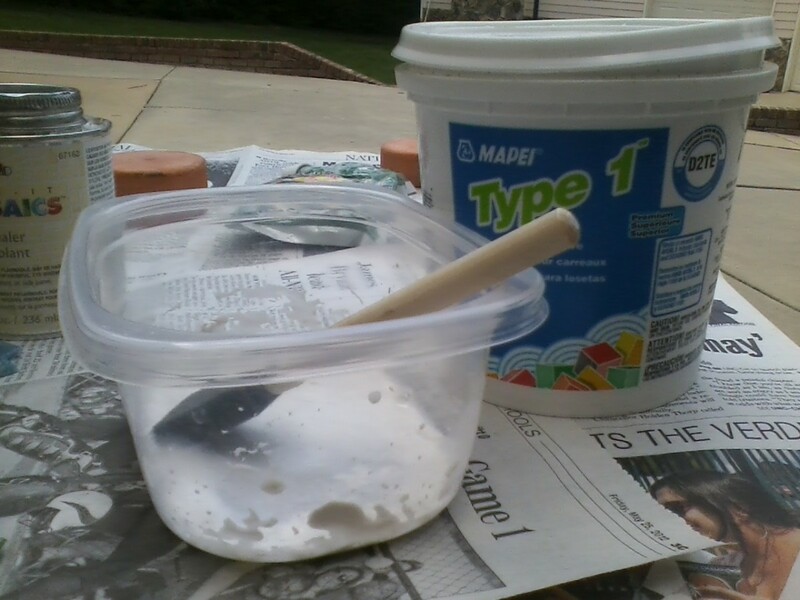 Use an old container to mix the grout and let it sit until it is thick, but not hard. Use a sponge brush and apply the grout in between the tiles. Careful, not to apply too much as this just means more cleanup! Wipe the excess grout off the tile with a wet sponge and allow the piece to dry completely. You may need to wipe the piece several times to get it clean. Once dry, apply a thin coat of grout sealer and you are finished! 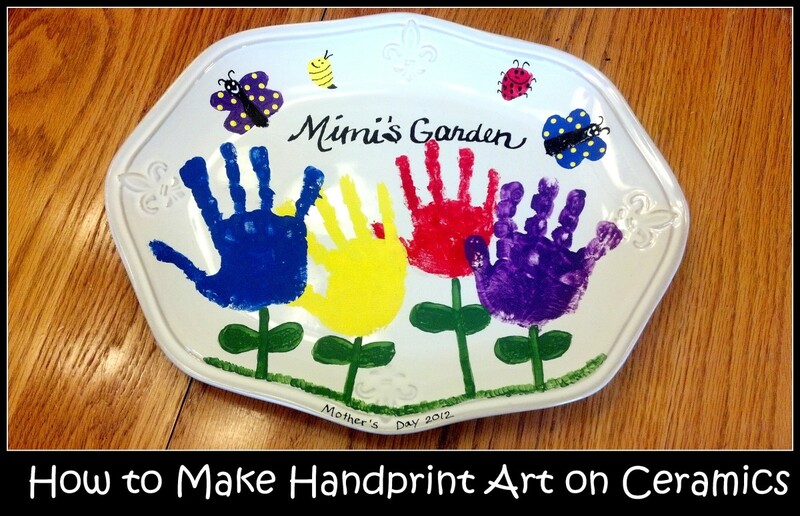 A flower pot is an excellent choice for a beginner. Select a terra-cotta pot and let the fun begin! Determine your workspace and gather your supplies (tiles, adhesive, sponge brush, grout and grout sealer, if you choose to use it). Because it is so porous, terra-cotta must be sealed first before adhering any tile. Do do this, get an old plastic container and water down the adhesive, two parts water to one part adhesive. Apply this with a sponge brush to the pot. While this is drying, you can plan out your design of tiles. Next, use a Q-tip to glue each tile to the flowerpot. 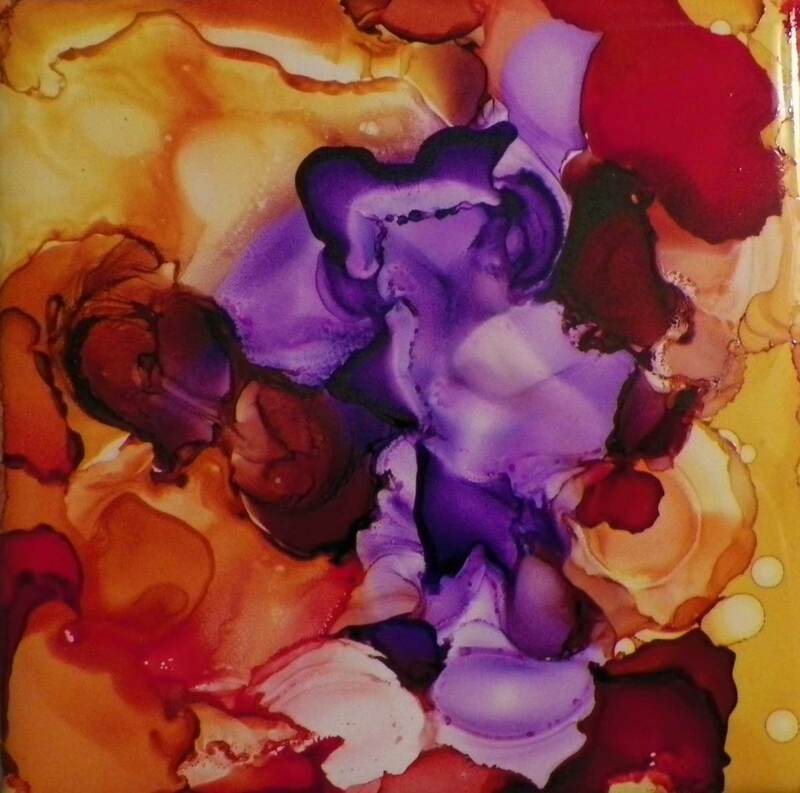 I like using an adhesive that dries clear, especially if I am not planning on grouting the piece. For a simple flowerpot, it is not necessary to grout, although it is a personal preference. 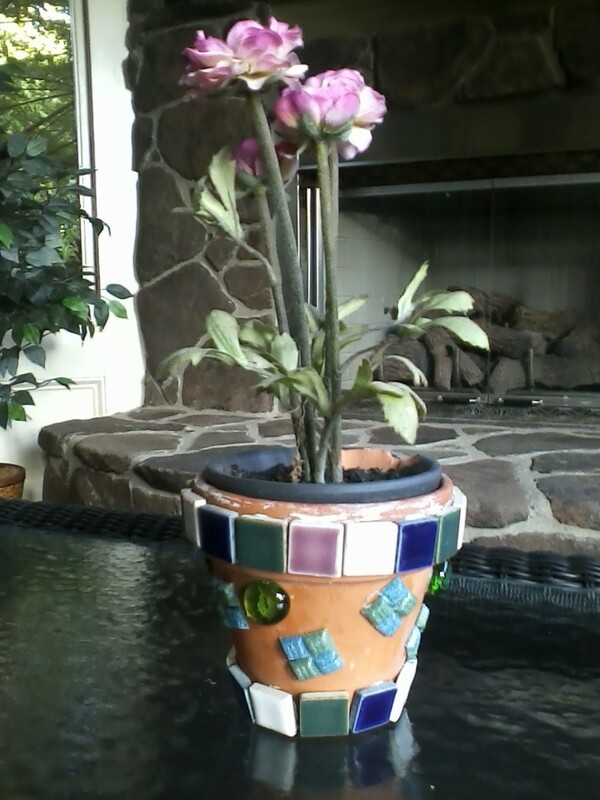 Once finished, you have a fun, artsy pot to showcase your flowers. Thank you mjkearn! 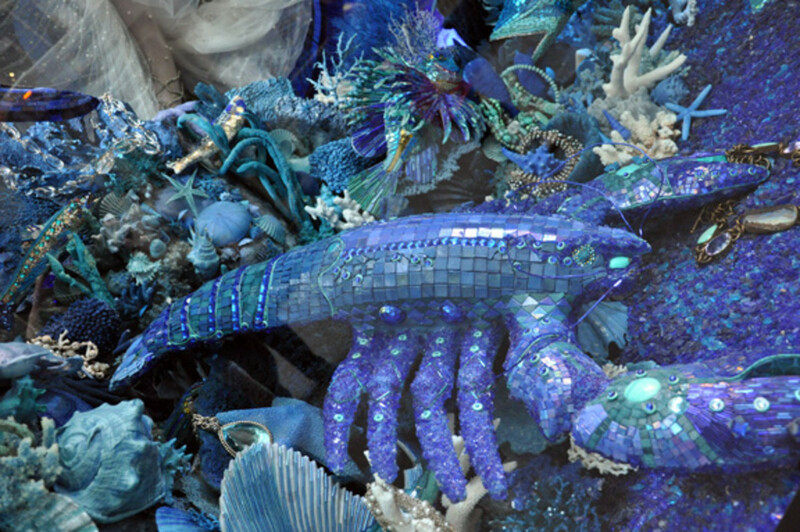 Creating a mosaic is like putting together a puzzle, but you get to create it as you go along. It is a creative outlet that usually results in a beautiful piece of art. What a fabulous creative idea. I never look forward to tiling but this hub has made me get enthused again. Great hub, instructions and pics. Extremely well written with a superb layout. Thanks for reading Glimmer Twin. I hope you get started on a project soon! I love mosaics and this really helps to get me started. Thanks! Thanks for reading Chrisssie. Making sure the wood is properly prepped is vital to a successful tile mosaic. If its not prepped right, not only can the wood warp, but the tiles can pop off too. Very useful hub, I would not have realized the wood surface needs to be prepared before to prevent warping later. 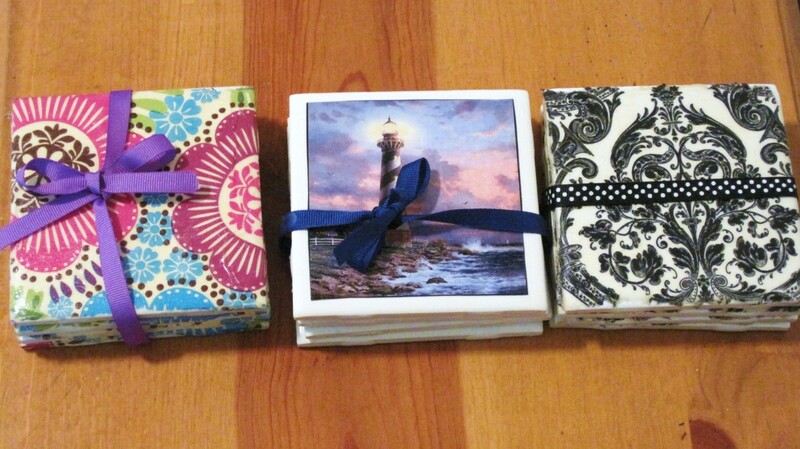 I hope I find time one day to try a tile project, they are so pretty. Thank you Pamela. Yes, some commercial mosaics are massive. There is one at the new terminal at the RDU airport that is so beautiful, but it is inside. I know there are products to protect tiles and grout from outside elements, but I imagine they still take a beating over time. They are such beautiful pieces of art. Thanks again for reading. I've often wondered how mosaic tile artwork is done. There are some big ones atop two-story buildings which I see all the time. They are flower mosaics. Must be a heavy-duty cement-based adhesive used on the outdoor types of mosaics that have to withstand all weather elements. You've provided a great description of the many steps involved. Voting way up. Earth angel, thanks for commenting. 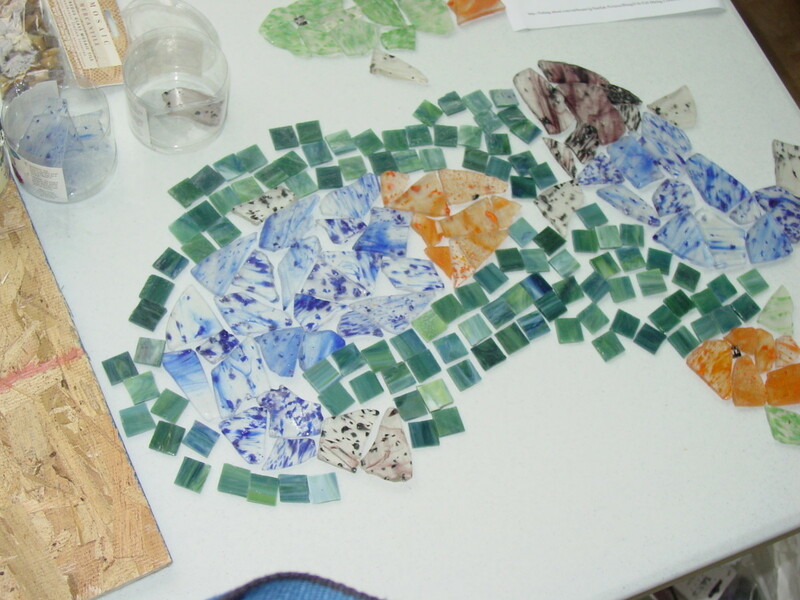 Making mosaics really is a great creative outlet. You should try it! Quite informative and the pictures are awesome for a project like this. It is so helpful to actually see what is being done as apposed to just reading about it! Nice job! Thank you denisemai and KrystalD for reading! Very nice hub. You communicated this with great detail. I can't help but to gather my supplies and get started! Great article, Laura! I haven't done a mosaic project in quite a while and am afraid I have forgotten many important details. Thankfully, I can use this hub to refresh my memory! Thanks Rex. There are a lot of details in making a mosaic, but I find them fun and rewarding to make. Its like working a puzzle, except you get to create it yourself. Excellent detail. I love doing projects like this. So many do-it-yourself articles leave out the small details, I like the way you walk us all through the process, thanks. You covered all the bases. 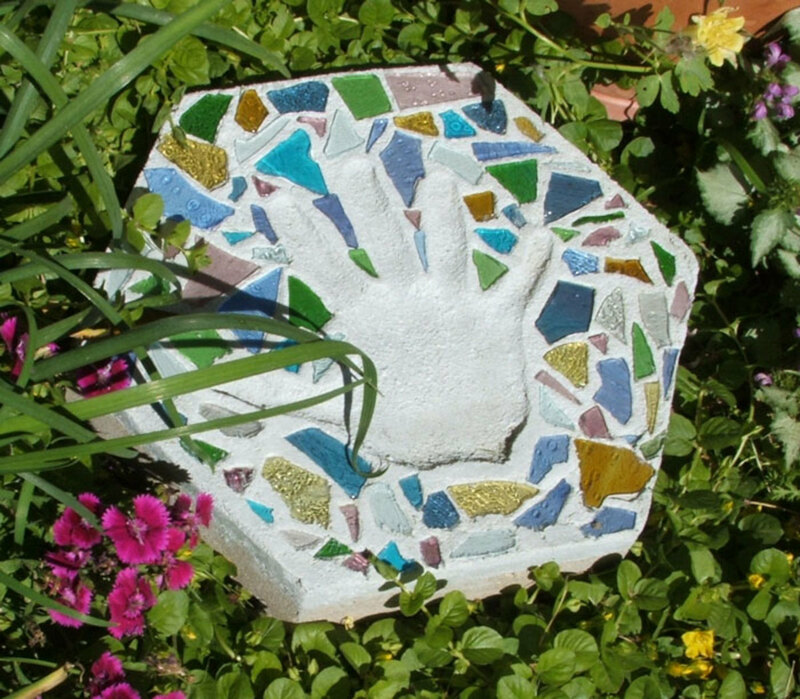 Susan, yes a mosaic flowerpot would make a lovely gift. Good idea! 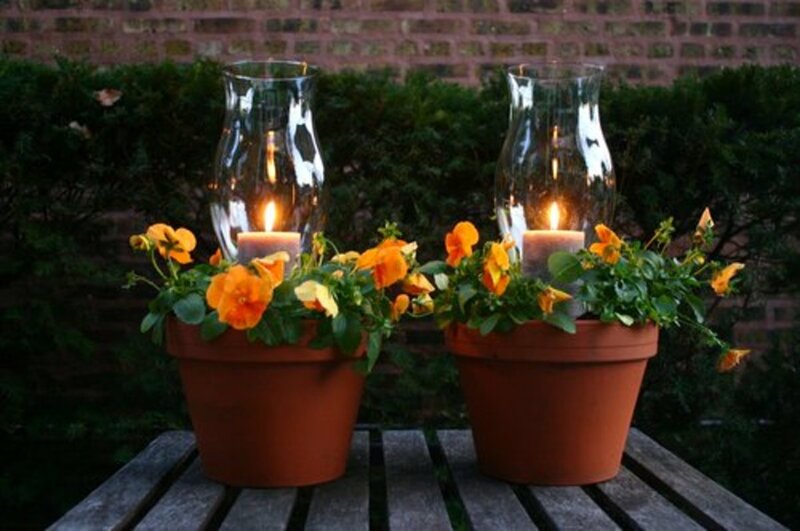 I'd love to try this and I have so many pots I could start with. I'm thinking I could use these as gifts with a nice plant.